Domaine Ostertag is a family-owned property of 14.3 hectares spread out over more than 80 small plots of vines in the heart of Alsace. Its location offers a very rare exposure for vines in the region, these climatic particularities allow the production of complex and mineral wines. The vines have been farmed according to the principles of Biodynamics since 1998. 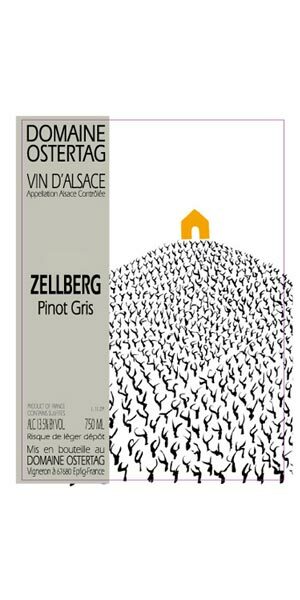 The southeast facing Zellberg vineyard is located on the mid-slopes in the village of Nothalten on a soil of clay, limestone, and the pink sandstone of the Vosges that gives fat, sensual wines with delicate aromas.